Public safety officials understand how vital in-building wireless connectivity is during an emergency. There are numerous sobering reminders of the extreme conditions under which emergency responders must often perform their duties. Effective, uninterrupted communication is always vital. As a result, Authorities Having Jurisdiction (AHJs) require state-of-the-art radio communication systems for emergency responders. Public safety distributed antenna systems (DAS) often address such needs. They are deployed in new construction and existing structures. Designers of public safety DAS systems face complexities that are uncommon in commercial DAS. The uplink design is especially crucial. The lack of power control on portable radios is an important factor. DAS system designers must always consider the performance and capabilities of all active equipment in use. Key factors influencing the design of a public safety DAS include venue size, required frequencies, signal strength, coverage and local codes. Usually, the size of the venue determines whether an active or passive DAS solution is most appropriate. Typically, passive DAS systems are limited to structures with up to 500,000 sqft of space. National Fire Protection Association (NFPA) regulations guide many AHJs. NFPA 72 includes rigorous requirements for a public safety DAS that commercial DAS does not face. It must operate on frequencies designated exclusively for first responders only. Systems must deliver an inbound signal strength of at least -95dBm. The same strength is required for outbound signals at the donor site. Note that certain AHJs may require different minimum signal strengths. Sec. 24.5.2.2.3 of NFPA 72 requires a public safety DAS (with FCC-certified signal booster), radiating cable system or other approved system when the required signal strength is not otherwise attainable. While a commercial DAS focuses only on areas where people are regularly present, a public safety DAS must provide coverage in stairwells, basements and other lesser used areas as well. Finally, there must be back up service to ensure continuous communication the event of an outage. General building areas require 90 percent floor area radio coverage, while certain specific areas require higher levels of coverage. For example, Sec. 24.5.2.2.1 of NFPA 72 requires 99 percent floor area coverage in all areas defined as critical by the AHJ. Examples include fire command centers, fire pump rooms, elevator lobbies, exit stairways and standpipe cabinets. Public safety DAS must also comply with the local codes that vary from region to region. Although NFPA and IFC provide a framework for these regulations, they do vary. Some AHJs have their own specific requirements. Ultimately, it is necessary to follow local code requirements set forth by the AHJ with jurisdiction. Commercial DAS systems enhance worker productivity, improve visitor experience and increase property values. The goals of public safety DAS systems are quite different. 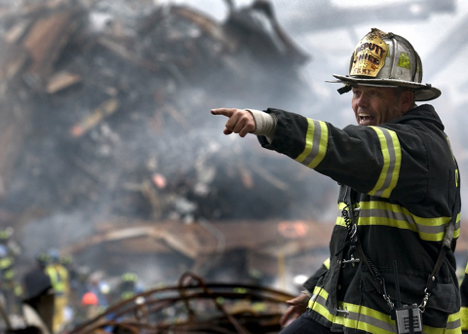 They speak to the needs of emergency responders when a communication failure is not an option. Systems must overcome structural communication barriers like concrete and low E-glass. Other active DAS systems are deployed to increase network capacities to meet expanding mobile data requirements. Active DAS systems deploy fiber optics, remote antenna nodes and other components to enhance in-building wireless connectivity. Active DAS can improve both reliability and capacity. Active DAS solutions address needs for both increased reliability and capacity. Amplifying and distributing signals evenly throughout a building enhances reliability. System designers can provide as much capacity as is needed by breaking up the DAS into different zones, all fed from a common head-end location. Passive DAS solutions rely primarily on signal boosters to deliver reliable in-building wireless connectivity. Unlike active systems, they only increase reliability, not capacity. They are considered passive systems because theyare distributed only through parts that don't require power such as splitters, coaxial cables and couplers. Passive DAS systems simply use donor antennas and BDAs (Bi-Directional Amplifiers) to boost the signals to and from the donor site. A properly designed public safety DAS is critical to the safety of first responders and those who require their professional assistance. We’d welcome the opportunity to address your public safety wireless communication inquiry, whether you are an AHJ, a DAS system designer/integrator, a building contractor or an electrical contractor. SOLiD’s innovative, cutting-edge DAS solutions are deployed around the world. Let us put our knowledge and experience to work for you. For prompt, friendly assistance, please contact us today!